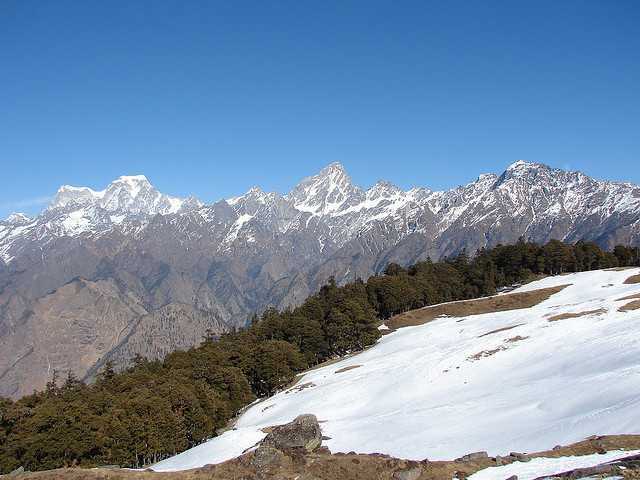 Auli is popularly famous as the Mini Switzerland of India. It is one of the very few ski destinations we Indians have. This city is gorgeous with sky touching mountains they look like tall proud monuments under a white sheet. Going to Auli is not only enthralling for sport enthusiast if you are a true traveler and a beauty lover you will fall in love with the surreal landscapes and the cold weather is just perfect for cozying up in front of the fire. By Air: If you live away from the State of Uttrakhand and want to board a flight then book it from Jolly Grant Airport the nearest airport to Auli. Take a taxi from here to Auli which is about 286 Kilometers away from the main city. By Train: If you are on a budget then trains are your friend. Take a train to Rishikesh which is the nearest station from there Auli is 264 Kilometers away. Take a taxi from there. If you are near to Uttarakhand then take a Bus which will take you an all night journey to Auli. By Road: From Delhi obviously you should go for a road trip it will take around 9 hours. But in winters the road from Joshimath is not operational because of heavy snowfall but you can take cable car from Joshimath. ALSO READ : Travelling To Nainital ? Don’t miss out these mind blowing places. Obviously with a place so high up in mountains its near to impossible that there is no place to trek. Going trekking here is going to be a unique experience as even so high you will see green pastures and cattle being fed. This is the highest man made lake in our country. Even though it’s artificial it still fits right into the scenic view. Around the lake there has been made ski slopes for you to experience this sport to the fullest. Holds high religious values home of Shri Badrinath during winters. You get to take a high ropeway the highest cable car in Asia. Narsingh and Kalpavriksh temple is a must visit as well. Situated about 10 kilometers away from Gurson Bugyal. It is extremely popular with trekkers . It a trek which will make you work hard to reach the top but once you are there the view is completely worth it. The best time to visit is between July To September. Standing super tall at 7120 meters. This mountain is pretty high up in the air. These 3 peaks resemble the trident hence the name Trishul. The view is a complete sheet of whiteness. The chill in the air is serene and this place takes you away from the rest of the world. SOME HIDDEN GEMS IN HIMALAYAS FOR YOU TO VISIT!